We often associate food with something that is good and pleasurable as it nourishes our body and satisfies our cravings. However, it can also be a detriment to your health. Dr. David Jockers, doctor of natural medicine and functional nutritionist, says that though eating itself is essential to life, the act of eating is actually inflammatory on our body. Dr. Jockers discusses the benefits of healthy eating and not eating, also called fasting. He says fasting, when done properly, has fascinating benefits which includes anti-aging. I’ve got Dr. David Jockers with me. If you don’t know Dr. Jockers, you are not in the health and wellness space because he is all over the place. He’s writing books. His website is phenomenal. He’s got a phenomenal line of products. He’s got summits that he’s done and he’s got another one coming up that yours truly, Jack Wolfson, is interviewed on the Fasting Transformation Summit. Doctor of Chiropractic, Doctor of Natural Medicine, Dr. David Jockers. David, welcome to the show. Dr. Jack, great to be on with you. I’ve always been a fan of you and your wife. It’s great to be a part of anything you’re doing. Let’s talk about fasting and why it’s healthy and maybe hone in as far as why the cardiology patient definitely needs to understand and follow a fasting plan. Whenever we eat, eating itself although it’s essential to life, I’m not saying, “We need to not eat all together.” The actual act of eating is actually inflammatory on our body. It creates inflammation when we consume food with calories and particularly food with calories coming from carbohydrates, in particular. Net carbs, not fiber, that’s going to create a little bit more inflammation. It’s actually multiple reasons. When we eat the first major reason is we bump up this hormone called insulin. Insulin is absolutely a critical hormone that helps take sugar out of the bloodstream and put it into the cells. If sugar does not get out of the bloodstream, number one, we can’t use it for energy. 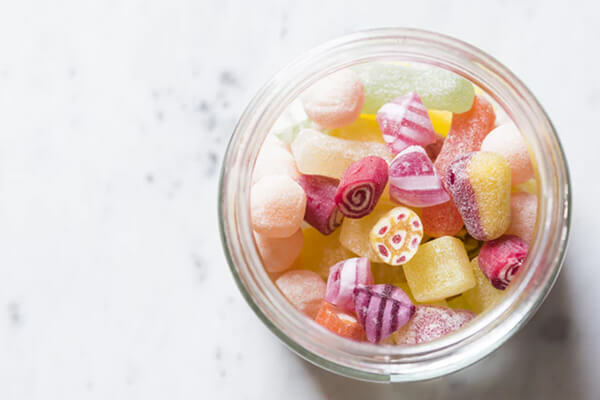 Number two, high blood sugar, the sugar molecules themselves actually bind to other enzymes and proteins in our body and it creates sticky proteins or advance glycolytic enzymes AGEs, which then actually create massive free radical stress that damages the nerves, damaged the endothelial lining of blood vessels. It is like shrapnel going through the kidneys. You think about a diabetic who can’t control their blood sugar, they end up typically with kidney failure or some stage of kidney disease. They end up with endothelial lining damage in their blood vessels and typically die of a heart attack. Along the way, they may end up developing peripheral neuropathy or retinopathy where they lose their vision. In order to obviously protect against that, the body takes the sugar with insulin puts it into the cells where it can be used for energy. It drives up this energy production process called glycolysis. The other thing with insulin though is there’s a certain threshold level of insulin. We always have some level of insulin. I’ve never tested somebody, even somebody has been fasting for a long time and they have zero insulate. If that’s the case, we call them a type one diabetic, autoimmune disease that they can’t even produce insulin. You’re always producing some, there’s a certain threshold. Once you hit that threshold for the amount of insulin in your system for an extended period of time, it’s going to basically increase or turn on these inflammatory gene pathways like nuclear factor kappa beta, tumor necrosis factor alpha things we call the inflammazone. It’s characterized as this term called the inflammazone. We have high insulin throughout the day, we end up creating more inflammation in the body. Many of your audience know, I’m sure you’ve educated them, that inflammation is the root cause of cardiovascular disease and every degenerative disease that we’re looking at in our society. Whatever we can do to help downregulate inflammation and particularly these amplifying gene pathways, that’s going to be important. We obviously need to eat but in order to get insulin down and under control, we want to regulate what we already do. Step number one is to get rid of processed foods, sugars, things like that spike insulin up and drive it way up. Step number two would be to reduce the number of times that we stoke insulin. You talk about it in your book and I’m a huge fan of paleo low carb template as far as the nutrition plan and even a ketogenic approach. If I look at my dinner, we had peas with grass-fed beef bacon. I had a leftover grass-fed beef steak. We had peas, we had grass-fed butter on and we had a side salad. It’s very low carb, high fiber, rich in healthy fats and you would think naturally that that’s obviously very low carb meal. It’s going to be really good for blood sugar and it is but I’m still going to produce some insulin when I eat that. There’s nothing wrong with that at all. It’s a healthy meal. If I turn it around, ate that at 6:00 and then let’s say I had a protein shake at night before I went to bed, like I would have done years ago before I understood this stuff and as a personal trainer thinking I needed to do that in order to gain weight, I’m keeping insulin elevated. If I woke up in the morning and I had to have something else to eat, even if it was low carb meal like eggs or something like that, I’m continually getting these insulin spikes. Fasting comes in. We downregulate all this insulin by eating less often because our body can only produce a certain amount of insulin in a given time period. Fasting: Fasting heals, cleanses, and repairs our body. Cleansing and repair should be prioritized over building. If you eat a large meal in a 30-minute to one-hour window, you’re only going to produce a certain amount of insulin during that period of time. Your body is going to regulate itself. During the whole fasting window, the whole period of time when you’re fasting, you are not producing any extra insulin. Your insulin is going to continue to drop and when insulin drops, you get this rises in this other hormone called human growth hormone, HGH. Human growth hormone is our quintessential anti-aging hormone. It helps to increase lean body tissue, helps your body to burn fat for fuel, which we turn into ketones. We get the benefits of ketosis but on top of that, it helps actually increase bone mass and stimulate genetic pathways that are involved in healing and repair, which is extremely important. I always tell people during the window that we’re eating between our first meal of the day and our last meal, I call that the building window. That’s characterized by the hormone insulin. We’re telling the body we’re building material, raw muscle tissue or mass in general. Whereas between our last meal in our first meal of the day, that’s our cleansing and repair window. We fast to help our body cleanse and repair. Cleansing and repair, we should prioritize that over building. That’s where fasting comes in. We can do things like eating one to two meals a day or eating at a certain time period like eight-hour eating window for example. It’s popular where you eat between 10:00 AM to 6:00 PM. You might eat three meals during that period of time but you’re controlling your insulin surge rather than allowing insulin to be elevated all day long by continual feedings. You probably have done this before. Growing up, I used to eat five, six meals a day in school. Kids go to school and they have cereal for breakfast in the morning at 7:00 AM and at 10:00 AM, they’re eating some crackers or some snack and then you got lunch. You come home from school and parents are giving their kids snacks and then you’ve got dinner. Half the time you’re drinking a glass of milk or something like that before you go to bed. We’re constantly spiking insulin, telling the body to create rapid amounts of inflammation and we want to keep that under control and that’s what fasting can do. Obviously, that’s why there are so many obese kids that are out there. When I was a kid and you were a kid as far as being outside, running around, always playing outside. Now, the kids are glued to the television, video games, virtual world, they’re on social media, it’s a problem when they’re having those same behaviors. They’re eating junk food all day long and the schools perpetuated this as well. They pushed that snack in the lunchtime. They’re adding to the fact also that they’re cutting back on the child’s recess and the outdoor activities of the children, keeping them inside as well. It’s interesting when you talk about fasting and when we eat and we get an insulin spike, the insulin spike leads to inflammation because it is interacting with the genetics of it. Do you think the markers of inflammation, are they markers or are the inflammatory things that we measure, are they bad in and of themselves? It’s a normal and healthy adaptation response that the body makes. The body is doing whatever it can to survive and it wants to protect against systemic infection. Throughout the history of mankind, systemic infections have killed more people throughout history than anything else. When we’re consuming food, that’s actually a transport pathway for pathogens to get into our system. It’s natural that when insulin is elevated, the body’s saying, “We’ve got all this food coming in. These nutrients that are now going to be seeping through the intestinal membrane into the bloodstream. We better get inflammation up to make sure that bad bacteria and different pathogens don’t get in and cause a major infection.” This is a normal adaptation response of that the body makes. It is normal and it’s healthy. We have to understand that inflammation itself is healthy and I always compare it to a fire in a house. If the fire is in the fireplace, it’s great, it’s warm, people enjoy the environment. If we come in there and we throw a big gallon of gasoline on it, it starts burning up the walls, we have a problem. 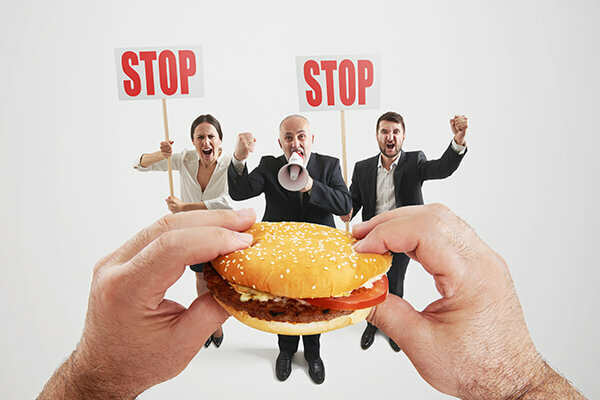 If we’re continually eating foods and particularly foods that obviously that are higher in carbohydrates, we are continually amplifying this inflammatory message and we have a problem. If you’re eating healthy foods and you’re eating less often then you’re going to have that normal healthy inflammatory response that we want. The body’s trying to protect itself, these inflammatory molecules themselves in and of themselves are healthy. They just need to be controlled. That’s the first time I ever heard that as far as inflammatory markers kicking in to protect against the food that’s coming in, bad bacteria, viruses, parasites that are in the food. Another thing that I read actually a couple of months ago as well if you hadn’t seen this, is that stress we know is good. Chronic stress is bad. Historically, we would all be exposed to stress as cave people. Genetically, if you were built to have a massive inflammatory response to stress, that would be actually very protective. Your body is prepared to fight off that stressor or there was an infection coming in, you break a bone or some trauma. The skin has to repair itself and boost up the inflammatory mechanism but what we’re left with is a generation and a society of people that are under chronic stress, therefore under chronic inflammation. If we reduce the stress, we reduce the inflammation as well. Throughout the history of mankind, infections have killed more people throughout history. When you think about even in recent years, the Bubonic Plague, which was in the last 1,000 years. It wiped out half the known world in Europe, I guess at the time from what I understand. Nobody gets Bubonic Plague anymore. As species, we’ve adapted. We have the help of technology, refrigeration, we’re not peeing and pooping in the same water we’re drinking. In certain countries, they need a little more help with that obviously and infections are higher in those areas. The first world countries don’t have that issue but the body itself hasn’t adapted to the new stressors that we’re under. Those are the old stressors and that’s what we’re hard-wired to. If you’re under stress, the body thinks that it’s this fight or flight response. It thinks life is in danger. In the past, throughout our history, if our life was in danger, we would be at high risk for a flesh wound. If we have a flesh wound, a tiger bites our leg or something like that, we’re in a war and we get a spear that hits us in the arm. That opens our blood, and it makes our blood susceptible to all these bacteria and pathogens that try to get in. Pathogens, their whole job is to break down decaying matter. That’s why they’re here. It’s to break down decaying matter otherwise, we wouldn’t have the cycle of life. We would have literally feces everywhere. We wouldn’t have the same Earth that we currently live in. Their job is to break down decaying matter. Our job as human organisms that are adapting the stressors is to not be decaying matter. How do you do that? By taking good care of your body. Everything that you teach in this podcast keeps us from being decaying matter. It’s important that we do take care of ourselves. We do have to understand that all of these responses in the body make our intelligent responses, but they’re intelligent for an environment that’s different than what we’re in. Fasting: Although eating is essential to life, the actual act of eating is actually inflammatory on our body. You’re lucky, David, because you got the head start. Your mom I believe was a doctor of natural medicine. My mom is a naturopath. At the time when I was born, she was a registered nurse. She was in the medical model and seeing what happened to me and my brother right underneath me made her question the model. I was a cesarean birth. I was vaccinated with all the vaccines. This is 1981 but I was actually fully vaccinated. My younger brother, the same thing happened to him and then after that my mom said, “There’s got to be a different model.” She had a friend that was studying midwifery. My mom ended up having a home birth. I have three other kids underneath. I’m actually one of six, I have an adopted older brother. I’ve got two younger brothers and two younger sisters. The last three were all born at home. My mom started a garden. She had really changed her life and changed a lot of things that she was doing after seeing what was going on in the medical system and not agreeing with it. Not getting true answers from people, she was intuitive on her own. She studied massage therapy when I was growing up. She became a naturopath. She has a Master’s degree as a nurse practitioner. She’s well educated and she definitely inspired me growing up. She would always make sure we had vegetables, kale, different things like that. We are actually on a macrobiotic diet, which is not a diet I agree with but it was healthier than standard American diet. That motivated me to start eating these things. I noticed my taste buds changing. I also saw that my older brother, he is a sugar junkie and he would have a lot of acne. My mom said that’s because he eats all these processed chocolate bars. I love Kit Kats and all those things, like any other kid. I associated it when she said that. She’s like, “If you don’t want acne, stop eating French fries. Don’t eat chocolate candy bars.” I’m like, “It’s not worth it. I’m going to stop eating that stuff.” Speaking to what drove me and what motivated me helped inspire me and move me in this direction. Before long I was craving these foods. That’s a good tip for parents out there. Start them off when they’re children and you talk to your children. You say, “When you eat this way, you’re going to be taller. You’re going to be tall like daddy. If you want to be taller than dad, if you want to run faster than mom or dad, if you want to be a better soccer player.” Of course, they hit the teenage years. Hit them with things, “Do you want to have acne? Do you want to have pimples? Do you want to have these different things?” We’d turn around and start threatening the adults, “Do you want to have cancer? Do you want to have heart disease? Do you want to have a stroke?” We’re coming from a good place and we’re coming from a place of truth. That’s the beauty of getting this message out there and kudos to your mom for making that turnaround. We’re never too late to make that change, to make a difference and get over to the right side. Kudos to your mom, if I say the word fruit to Dr. David Jockers, what do you say? When I hear the word fruit, fruit is a normal natural healing food. However, what we’ve got to take into consideration is that there are anti-nutrients in everything. When it comes to fruit, the major anti-nutrients are sugars. In particular, fructose. We hear about fruit as superfoods and all these different antioxidants and polyphenols and whatnot that are in fruit. That is true but we also have to take into consideration how it’s going to impact our sugar. We talk about how sugar influences these inflammatory gene pathways. I’m a fan of doing low carb or basically, lower glycemic fruits that are very rich in nutrients. Believe it or not, olives are fruit. Most people don’t realize that. They’re one of my favorite fruits. Avocados are fruit, I eat multiple avocados almost every single day. I made a keto protein shake. That’s going to be my only meal of the day because I didn’t work out intensely. I made that for lunch and I had two and a half avocados in there. I eat avocados all the time. It’s fruit. Watching the parade go by. The healthiest thing about the watermelon is the rind. It’s high in L-citrulline and nitric oxide booster. Obviously, things like bananas are not part of Dr. David Jockers’ diet. I’ve always been a big fan of stone fruits. When I say always I mean when I turned 35. I stopped eating Kit Kats and Ding Dongs and Diet Mountain Dew. I found this other thing called fruit. I love stone fruits. The stone fruit season comes in. Fruit in so many ways, it’s that sugar addiction perpetuates want of more fruit and of course more sugar. It’s like a gateway drug. You’re going to end up creating these blood sugar imbalances. You’re not going to feel good. I’m not dogmatic about it. Sometimes we’ll have fruit but in general, I feel better without it. I’ll try to be an intuitive eater and if I feel better without it, why should I eat it? I’m a huge fan of fasting. I often don’t need food. If good food’s not around, I don’t eat. I hydrate my body well and actually feel better. My body has adapted to that and then when good food’s around, then I indulge. I eat well and I eat large meals. It seems to work out better for me. However, my kids love berries and once they start eating berries, they don’t stop asking for them. We give them berries from time to time and it’s like, forget it. They’re crying for berries until the berries are gone. They’ll cry for ten more minutes until they finally realized that we were not actually giving them anymore. You’ve got the Fasting Transformation. My audience is going to be all over that. People that are in my tribe, they’re going to get all the information about how to get onto the summit. Tell me if someone’s interested, maybe they’re the 45, 50, 60-year-old male or female out there. They’re hearing the word fasting. They’re hearing it for the first time, they heard it on a religious basis. Of course, everyone’s heard the term fasting. What is maybe the best way for this newbie to start into the idea of fasting? Fasting can be extremely intimidating. Growing up, my parents fasted for religious spiritual reasons one day every single year. I thought it was the worst thing ever. I fast easily one day, multiple times a week often. Fasting to me is about freedom. When I think about fasting, I think about freedom because it helps you have a better relationship with food. I noticed that mentally and spiritually I feel better. I feel clearer. I feel my intuition is improved. I feel more creative. To me, I’ve linked fasting to freedom as opposed to deprivation like I used to. The best way to start with fasting is what I call a simple fast. The reason why I call it a simple fast is because it’s simple. You give yourself twelve hours between your last meal of the day and your first meal the next day. If you finish dinner by 6:00 PM, which is a good idea, you want to finish dinner at least three, if not four hours before you go to bed. Finishing by 6:00, maybe 7:00, that’s a good idea if you can do that. You don’t eat anything with calories until 6:00 or 7:00 the next morning. You give yourself twelve hours. You can still drink water, you can do herbal teas, you can do things like that. You can put a little Stevia in your water with some lemon. Make your own lemonade. There’s no sugar in that. It’s not going to impact your insulin, your blood sugar levels. You’re welcome to do all of those things. I always recommend when you wake up in the morning before you even think about food, you should drink at least sixteen ounces of water. Before breakfast comes in, you have got to get sixteen ounces of water into your system. Many people will notice that they drink the sixteen ounces and for some people, it might be fifteen minutes, for some people it might be 30. Some people because they’re not used to drinking water like that, it might take them an hour or hour and a half. By the time they finished that sixteen ounces, you’re typically not hungry and the reason why is because you have this hormone called Ghrelin that is a hunger hormone. Ghrelin goes up in your blood when your stomach is empty. It’s also a learned response too where it goes up at times of the day when you’re used to eating, when you’ve conditioned yourself to eat. Ghrelin goes up and then you put water in which fills your stomach. It suppresses it. It becomes easier to go through and then your body instead of eating calories. It says, “I didn’t get any calories in. I’ve got all this body fat, I’ve got a tremendous amount of storage. I’ll tap into this.” It’s like tapping into your savings account, “I’m going to tap into the savings account. Start breaking down body fat.” When your body does that, it actually downregulates inflammation. You start to create these powerful molecules called ketones. Ketones can produce fourteen times the amount of cellular energy the molecule of glucose or sugar can. It creates 50% less metabolic waste. Fasting: When we’re breaking down sugar for energy, we produce a whole lot of metabolic waste. When we’re breaking down sugar for energy, we produce a whole lot of metabolic waste. It’s like dirty fuel. It’s like that gas mileage that creates a lot of carbon emissions. Whereas ketones, we produce less carbon emissions so less metabolic waste, less inflammatory inducing molecules. They’re basically epigenetic modulators where they start to positively influence healthy longevity tree genes and genes that are associated with better mental and cognitive function. They stimulate nerve growth factor, brain-derived neurotrophic growth factor or different things like that so you can have better creativity, better memory. You get all these great benefits from the ketones and on top of that, if you’re looking to lose weight, you can. Fasting will help to get in ketosis. If you’re somebody like me who’s never once ever tried to lose weight, I’ve always been underweight. I’m thin, lean, ectomorph, lean body type. I’ve always trying to preserve muscle mass and gain muscle mass if I can. By having elevated ketones and burning fat for fuel, it’s the best thing you could possibly do to maintain your lean body mass. If I was eating all throughout the day, I would actually be more skinny fat where I would have more fat, less muscle mass. I’d still be thin but I actually have less muscle mass. Fasting helps with that. You start with that twelve-hour simple fast. What you’ll notice if you drink that water, most people find that it’s quite easy to bump it up to a fourteen hour fast. I’ll tell them, “Great, you did the fourteen-hour fast.” At that period of time where you’re hungry around fourteen hours, try drink another sixteen ounces and then see if you’re still hungry. They do that and oftentimes they’re like, “You’re right. The hunger went away.” Now they can go sixteen hours, sometimes even eighteen hours and that’s a great way to do it. 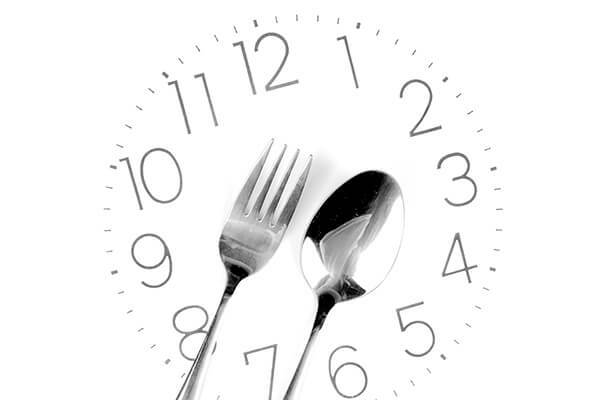 Intermittent fast on a regular basis and we call this the time between our first meal and our last meal. That was the building window and then the time between the last meal and the first meal, the cleansing window. If we can get people to where their cleansing window to building window ratio is two to one or greater, we’re going to have great health outcomes. Their body’s going to heal a lot faster than if it’s like a one-to-one ratio like most people in society nowadays. By listening to the Fasting Transformation Summit, obviously they’re going to hear you interviewing the best of the best guests, all different techniques and all different hacks that you know that people are going to do. It’s phenomenal information to get people back to health and wellness. We tell people obviously, you go to sleep with the sundown awake with the sunrise. In the winter time, let’s say the sun’s going down at 6:00, 6:30 PM and it doesn’t come up again until at least twelve hours later. You should be sleeping during that time, you shouldn’t be eating and that’s automatically at least a twelve-hour window. If you’re saying, “Before you go to bed you want three to four hours,” which pretty much means you’re having breakfast and you’re having lunch in the six-hour feasting window. The rest of the time is the cleansing window and how phenomenal is that. You can do a dinner fast as well. I do it regularly. It seems to work out better in my family because my wife gets to benefit from me focusing all my energy on helping feed the kids as opposed to eating myself. It is a little bit harder for people to try that first. Maybe a little easier to try the water in the morning like I was talking about. If you can fast through dinner or eat your dinner earlier in the day, you’re going to get better healing benefits, great strategy. I am a cardiologist, I’m not a techie guy but in any case, tell us a little bit about how people are going to find you. Tell us a little blip about the Fasting Transformation Summit. 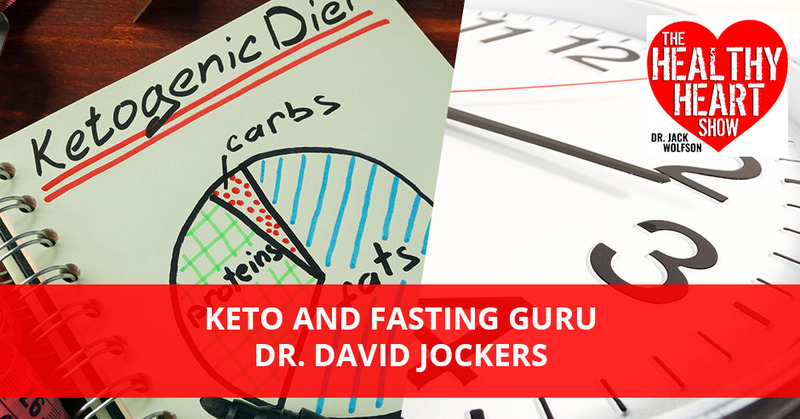 My mission like yours is to help change the world and for people to get this information from Fasting Transformation Summit and everything else from David Jockers. Where do we find out about you? You can find everything about me at DrJockers.com. I’m on Facebook, YouTube and of course on my website and Instagram, all those types of things. The Fasting Transformation Summit, I interviewed the top experts in the world on fasting. You’re going to learn about how fasting helps unlock your dormant healing potential. You’re going to learn about how safe it is, how effective it is and how powerful it is. This summit might transform your life, check it out. I’m sure that it will. It will transform your life as long as you pay attention to the information like everything else. Another phenomenal episode of the Healthy Heart Show with Dr. David Jockers. We’ll see you next time. 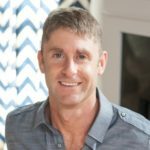 He is the founder of DrJockers.com, a website designed to empower people with science-based solutions to improve their health. DrJockers.com currently gets over 1 million monthly page views and his work has been published in various popular media outlets including ABC, Fox News and the Dr. Oz Show. Dr. Jockers is a sought after speaker around the country on such topics as weight loss, brain health, functional exercise, natural detoxification and disease prevention. Dr. Jockers sees patients at his clinic, Exodus Health Center and he does long-distance consultations by phone or Skype to help customize specific lifestyle plans to help individuals improve performance and beat chronic disease.